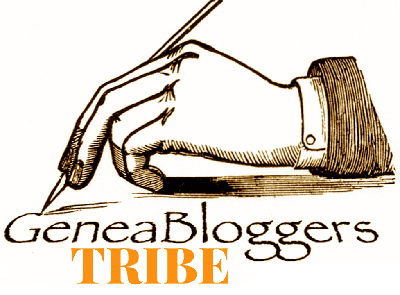 Even though I think about family history a lot, and it has become such a popular pastime, I am sometimes surprised where I see it pop up. Recently a friend gave me a copy of The Illustrated London News from Christmas of 1956. My friend gave it to me because of a painting showing the heraldry of the opposing sides at the Battle of Crécy in 1346. 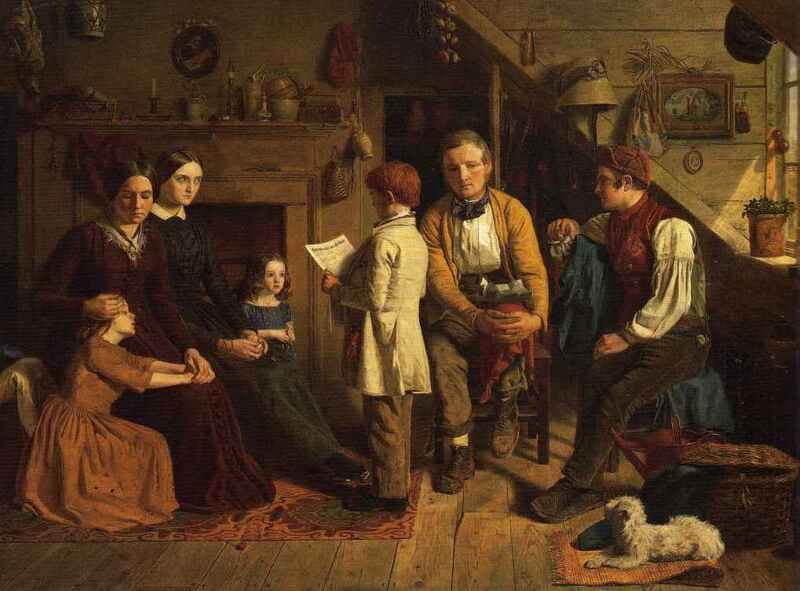 While it was a fascinating painting, what caught my eye more was a page titled "Outcasts--Social and Melodramatic: Family Problems of a Century Ago", which shows two mid-19th-century paintings focused on families. 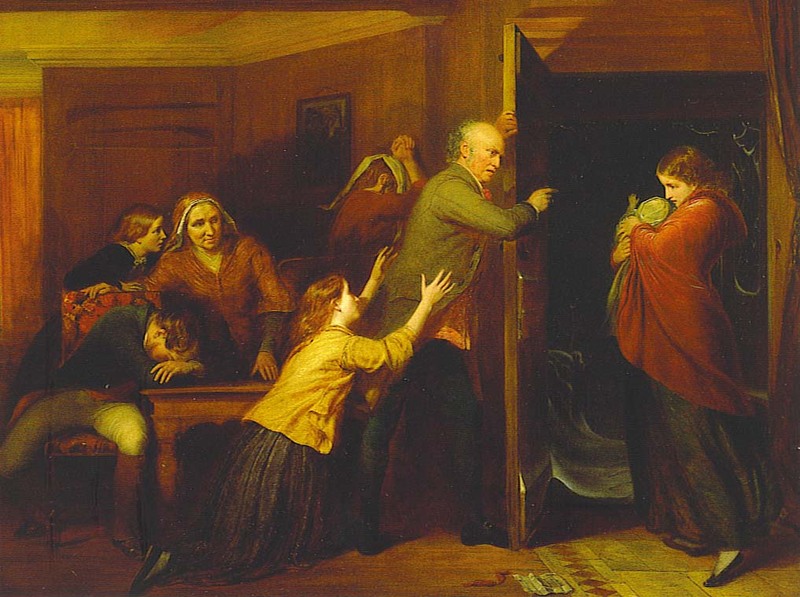 The first painting is The Emigration Scheme (c. 1850), by James Collinson. Migration from one country to another was not only a significant event in the lives of many people's ancestors, it often becomes a major focus of research, trying to trace immigrants back to their countries and cities of origin. Emigration was considered a viable solution to unemployment, urban overcrowding, and rural poverty in England in the early 19th century. The Petworth Emigration Scheme is an example of one such plan. But many records from this period have not survived, and it can be difficult to determine when and from where someone traveled. The second painting is The Outcast (1851), by Richard Redgrave. Here the subject appears to be a daughter who has had an illegitimate baby. She is being turned out of the house by her father while other family members look on in sorrow. Beyond the sadness of the situation, one of the first things I thought was, "This is a brick wall in the making." Perhaps the shamed daughter gives her baby to a childless couple, or marries quickly and never talks about her own family again. It can take creative and time-consuming research techniques to reconnect such a woman to her family. The other unexpected place I ran into family history was Sports Illustrated magazine! 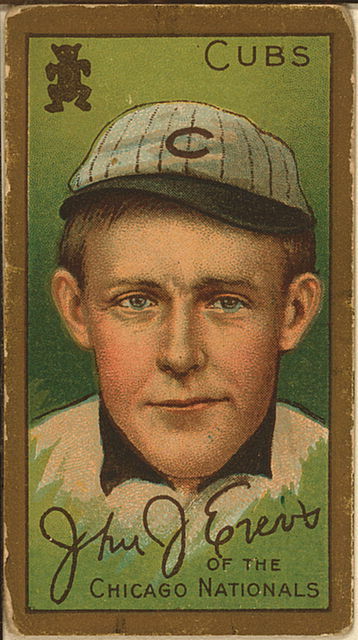 In the December 3, 2012 issue, writer Tim Layden has a wonderful article about his great-uncle Johnny Evers, of the famed double-play combo Tinker to Evers to Chance. Apparently Layden has been tossing his great-uncle's name around for years as a well known calling card but didn't really know much about the man himself. He finally got around to doing real research on Evers' life after a comment by a colleague. The article is a good mix of the facts he was able to find and the stories he wasn't able to verify, and has a nice twist at the end. How would you even start trying to break through a "brick wall" such as that...and if the then-teen mother never talked about it, how would you even know where to start? A lot depends on what time and place you are researching and the specific circumstances of the situation, along with whether you are approaching it by researching the daughter who disappears from her family (going forward) or the child (going backward). In all cases, though, you start by collecting as much information as you can. If you're starting with the daughter, are there stories in the family that someone had an illegitimate child? Does a daughter just seem to disappear from the family at some point but you can't find a death record? Can you find anyone with her name in the same town, county, state, maybe in a marriage record? Is there a court record because she was trying to get financial support? Did anyone in the family keep in touch with her and maybe some letters have come down through a different branch of the family? If you're researching the child, was there any story within the family that the person was adopted? Have any heirlooms come down from the mother that might connect her with her family or where she came from? If you have information about where the baby was born, can you find any matching record, whether civil or religious? Is there an unusual name that might connect to a specific family? You can see that you have to cast a fairly wide net. Any piece of information might be helpful.